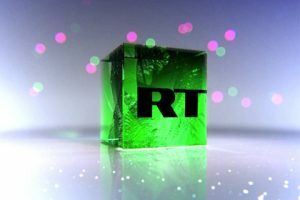 A high definition simulcast of Russian news channel RT is now available on Freeview, on channel 113. RT HD launched on Freeview today, around two years after it first launched on satellite. The standard definition version of RT remains available on channel 135. In addition to world news and current affairs, the channel also contains a UK opt-out during the evening with hourly news bulletins focused on UK audiences. Coinciding with the change, Movies4Men+1 has been removed from Freeview channel 50, except for viewers in Manchester who will need to retune. The main Movies4Men channel continues on channel 48. RT HD is available on the COM7 multiplex which is available to around 70% of the UK population, the multiplex uses DVB-T2, Freeview HD or YouView equipment is required.